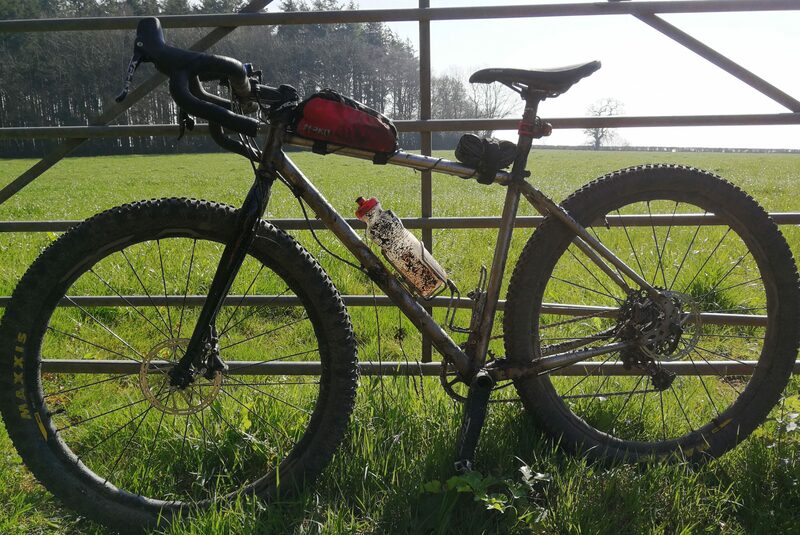 As you may have read in my three previous blog posts about building a hand-made steel bike, Simon Aske, based in Devon, has been building a custom steel bike for me. The first stage was the BikeFit, followed by the entry of the measurements into BikeCAD, and then the assembly and tig welding of the Reynolds 853 and Columbus steel tube set. As a main sponsor of the Haldon Heroic CX Sportive, Simon was keen for me to ride my new Aske Bike at the event. This made perfect sense to me, it allowed us to give this fine bespoke creation as much exposure as possible and gave me the opportunity to put the bike through its paces. To say I was excited would be a massive understatement. And so, just after 7am on Saturday March 30th, I arrived at Exeter Racecourse having entered the Haldon Heroic “Mega” route. Ahead of me I had 50 miles of mixed terrain riding as well as about 4000 feet of climbing. Simon had previously told me that this style of bike was the perfect bike for the Haldon Heroic. It is relatively light, has flared drop handlebars, wide ratio 11 speed gearing and 2.6” 650b plus tyres. 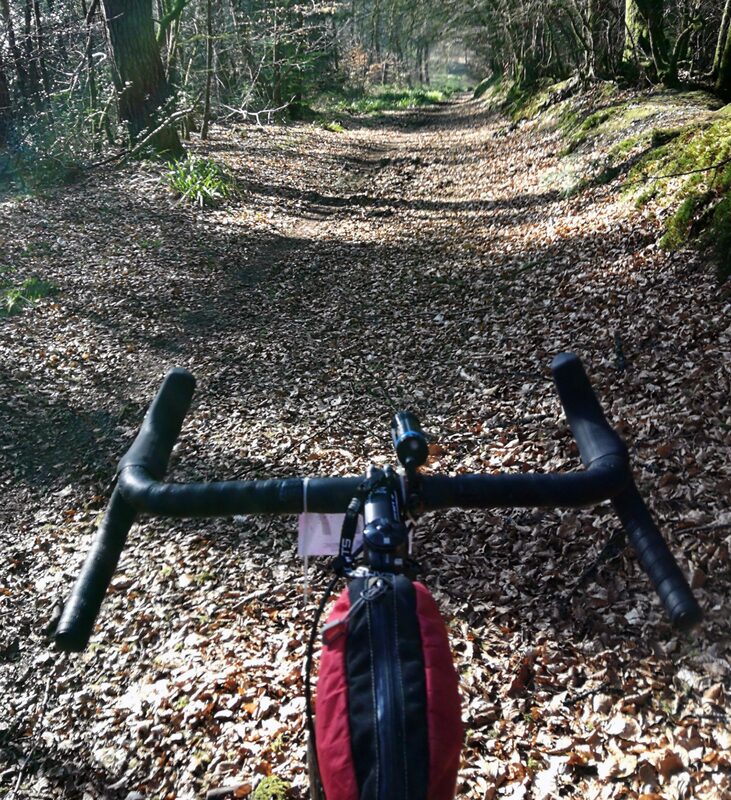 It sounds obvious now, but something that has been built to your requirements, specifically to fit you, and with your preferred use in mind, is more than likely going to work well for your favourite type of cycling. All I can say is that my new Aske bike surpassed all of my expectations. I rode the 50 miles in under five hours and, at no point, did I suffer any discomfort or have any niggling issues with the bike. Yes, I got tired, yes, my legs ached and yes, some of the hills were steep, but everything about the bike was right. I have never before ridden with such confidence and commitment. The bike positively encouraged me to ride it to its full potential. Since Simon initially assembled my custom steel bike, I have not felt the need to adjust anything. The saddle, bars, controls and even the tyre pressures are all exactly as they should be for me. Testament I feel, to Simon’s knowledge and level of expertise. The whole process of having a hand-made custom steel bike made for me has been enjoyable, educational and beyond my expectations. Simon’s experience, knowledge and expertise are matched by his level of customer care. His understanding, recommendations, designs, build and assembly have all come together to create a bike that shines through as being something really special. This bike really does make my other bikes feel less suited to me than I ever thought they could. Now that the Haldon Heroic and I have got this custom built cycling masterpiece all muddy, it’s time to clean it ready to be disassembled and painted. Now what colour should I choose? Simon was right. It is the perfect bike. Brilliant report Mr Darby, the colour, that’s the hardest thing to decide! Took me weeks, Simon, the other one!